When the IRS Suspects You of Under-Reporting Income | Accounting Questions, Tax Tips, Personal Finance Topics and More! Have you suddenly become the unhappy target of an audit for allegedly under-reporting income to the IRS? Maybe you did under-report. Maybe you didn’t. Whether you did or not, your tax returns have waved some red flags at the IRS and you are now in their line of sight. You may not know it, but if the IRS suspects under-reporting they can go back over previous tax returns and make you prove your income. They’ll ask you to prove income, expenses, bank deposits and more. And the normal three-year IRS statute of limitations does not apply. Things get even more complicated if you consciously file a false return, under-report income or worse, willfully fail to file. You could even be facing potential criminal charges and prison time. This is tax evasion and when it comes to tax evasion or fraud, the IRS can really speed the process up. If you think you can deal with the IRS in this instance, I’ll ask you to reconsider. 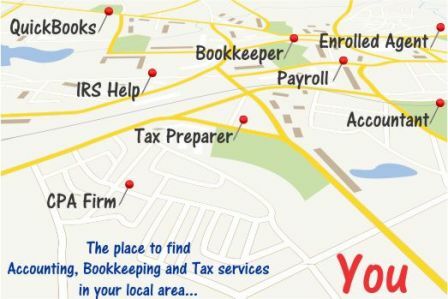 Professional help by an experienced tax attorney is a must. Depending on how much of your income you failed to report, the IRS can make your life miserable for a very long time. For instance, if you fail to report 25% of your income the IRS has a full six years to audit. Even that time frame almost always gets extended up to an extra full year. This is when working with an expert tax attorney can be useful. They may help you be able to shorten the time of the extension. With complicated tax issues it can be difficult to determine specifically when a tax crime is committed. People think that the statute of limitations never runs on fraud and they are correct. The IRS can come after you any time for civil tax fraud. But since the IRS bears a higher burden of proof in fraud cases they don’t want to go back too far. Sometimes innocent activities can appear suspect to the IRS, which can trigger an audit. So, whether you’ve been under-reporting income for years, or the IRS is taking a closer look at you for the first time, timing is very important in tax cases. A little bit of understanding may also come in handy before you get sucked into the unraveling of your tax returns. Seek the counsel of an exceptional Enrolled Agent because it’s one of the most uncomfortable positions to worry about being caught trying to cheat the IRS.